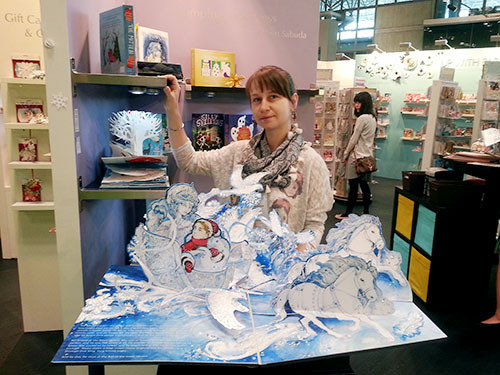 I am currently working as a Director of Paper Engineering at Up With Paper, a leading pop-up greeting card company. I spend most of my time designing and creating paper mechanics for books, greeting cards, stationery, packaging, displays and decor. I also do a lot of illustrative work, as well as concept development, story-boards and art direction for books at Jumping Jack Press, a publishing division of Up With Paper.